You can join Senegence for Personal or Business use! 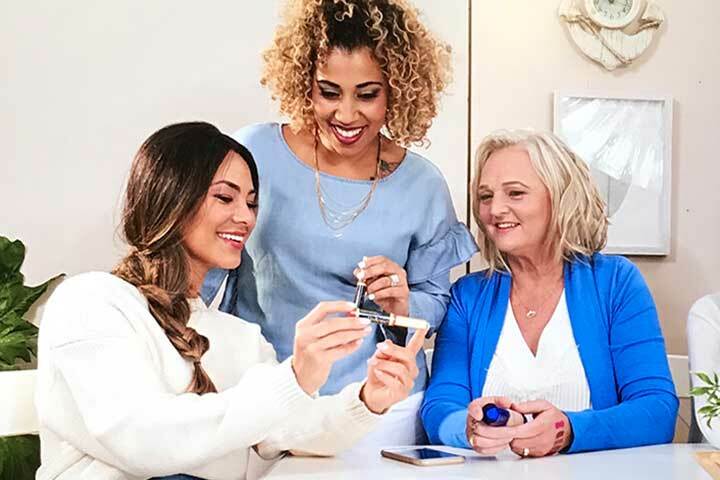 SeneGence offers superior products and an opportunity for both men and women to be independent and successful in business, regardless of age, background or education. It is the perfect Stay-at-Home Business, as well as an enhancement to Small Boutiques, Salons and even Spas. I have had salon owners tell me that their LipSense sales has helped carry their business when times were lean. We offer many tools for you to be able to train, either on your own from home or on the road, or in person face-to-face. The choice is yours. Download App (Android - SeneDots) Download App (Apple - SeneDots) for easy to follow step-by-step plan on how to start your career. Joining my Team means you get easier access to hands on training with our companies Elite MUA group which I am a founding member of. Although you are not required to purchase any kit to get started, we do offer several Sign UP options at a significantly reduced rate. Feel free to ask should you have any questions. My goal is to help you succeed. To guide and support, but not drag or push you. Do you love our products and want to save money? Perfect. That is actually what I did. I joined for the discount along with many other women in the company. Who doesn't like to be able to purchase makeup at a discount after all? Would you still like to be able to train on makeup application and learn how the products work? No problem. No matter why you join the company you are always eligible for free training. You can join for the discount and purchase your favorite products at a 20-50% savings. You will also be eligible to join our Facebook Groups for trainings about products and application as well as download the training SeneDots App.